Prescott Arizona, the county seat in Yavapai County, is a historic desert mountain community in Arizona. The community’s unique character and culture, ideal year-round climate, and endless amounts of outdoor activities make Prescott an excellent place to call home. 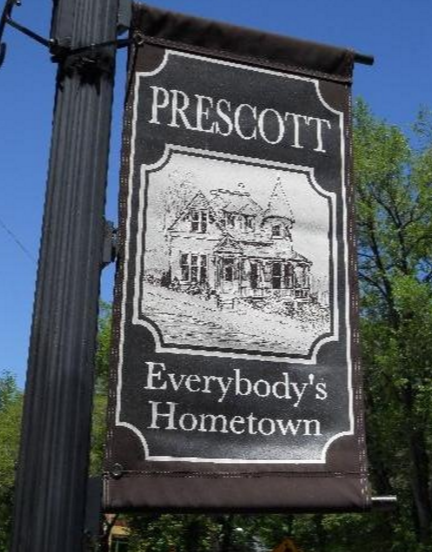 Before moving the capital of Arizona to Phoenix, Prescott served the honor of being the territory’s capital. There is still an old west feel in the city’s downtown which you will notice immediately as you stroll the scenic walkways of art galleries, restored Victorian homes, and over 700 structures listed on the National Register of Historic Places! Housing many of the town’s local and historical collections are the 3 of Prescott's esteemed museums, each playing their place in the history of our great community. The Sharlot Hall Museum an open-air facility dedicated to preserving the history and folklore of Yavapai County. The Smoki Museum, located in a beautiful stone, pueblo like building dating back to 1932, is a museum dedicated to preserving the heritage of the cultures of the Southwest Indian tribes and the Smoki people. It features pottery, artifacts, baskets from the tribes while also offering classes and holding events for individuals within the different cultures to showcase their talents and sell their wares. Last, but not least is the Phippen Museum, this is Prescott's Fine Arts Museum and works to enhance the cultural arts experience for the patrons of the central Arizona region. Once home to over 40 saloons in one block, Whiskey Row is a popular attraction in Prescott and home to many historic buildings. Still located on “The Row” is The Palace, Arizona’s oldest restaurant which opened in 1877. Some famous patrons of The Palace include Wyatt Earp and Doc Holliday. Historic Whiskey Row is still known today as the "source of everything"! Another beautiful and exciting avenue is the incredible Prescott Resort and Conference Center. Whether you're looking for a luxurious get-a-way, relaxing weekend taking in the beautiful scenery and warmth at the top of the hill, a corporate retreat or conference room...the Prescott Resort and Conference Center will accommodate your every request, leaving you to experience all the amenities they have to offer. For those who love the outdoors and nature, the Community Nature Center is the place to visit. This center includes 1.5 miles of trails for hiking, a Habitat Garden with 25 species of native plants, and a pond with tons of birds. 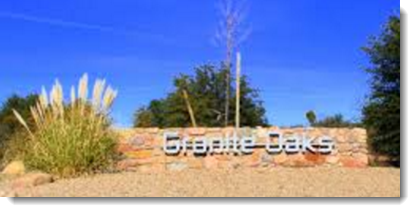 Granite Creek Park is another community highlight and an ideal place for a family outing. On 21 acres, sand volleyball courts, barbecue pits, a playground, and trails, everyone in the family will be happy here. For boating and camping lovers, Watson Lake Park will be your go-to spot. Located only 4 miles from downtown Prescott, beautiful Watson Lake Park offers camping, canoe and kayak rentals, boat launches, hiking trails, and much more. Another great partnership is between the Prescott National Forest and The Highlands Center, together the Highlands Center is a hub for lifelong learning and discovery of the outdoors. If you're worried about finding your favorite stores at local shopping malls, put those worries aside! The wonderful Prescott Gateway Mall will have everything you need and is conveniently located on Hwy 69. Also, located along Hwy 69 is the Frontier Village Center with numerous retail stores and restaurants. If you'd rather dabble in the best of the southwest style and flair, shop the lovely boutique shops located Downtown Prescott. Overseeing the education of Prescott’s youth is the Prescott Unified School District, comprised of one preschool, three elementary schools, two middle schools, and one high school. Additionally, Prescott also offers some excellent private schools if you're so inclined; Primavera Elementary School, Christian Academy of Prescott (elementary), Trinity Christian (K-12) and Sacred Heart Catholic School are a few of the offerings from which to choose. There are many options for collegiate education in Prescott. Yavapai Community College has its main campus in Prescott. Prescott College is a 4-year private liberal arts facility, and Embry-Riddle Aeronautical University, a leader in aviation and aerospace studies. Northern Arizona University also has an extended campus in the neighboring community of Prescott Valley. Available and open to all is the one and only, Prescott Public Library, a tremendous resource, and host of events for all ages. Yavapai Regional Medical Center-West offers local and convenient access to your medical; including emergency, care services. To accommodate our nation's veterans, the Northern Arizona VA Health Care system is centrally located along Arizona State Route 89 in Prescott. Ernest A. Love Field is Prescott’s municipal airport and is located 7 miles north of the city’s downtown. For those wishing to travel out of Phoenix Sky Harbor airport, there is an hourly shuttle service available from many convenient pick up and drop off locations in the area. The Prescott, AZ community has an endless number of possibilities for homes and lifestyles to meet your needs. If you're looking for a little more space, and have a love of horses you may find the Granite Oaks community the place for you! With many lots that adjoin state land, large meandering oak trees, relatively level lots and the possibility of guest houses for your loved ones, Granite Oaks is a gorgeous place to call home. 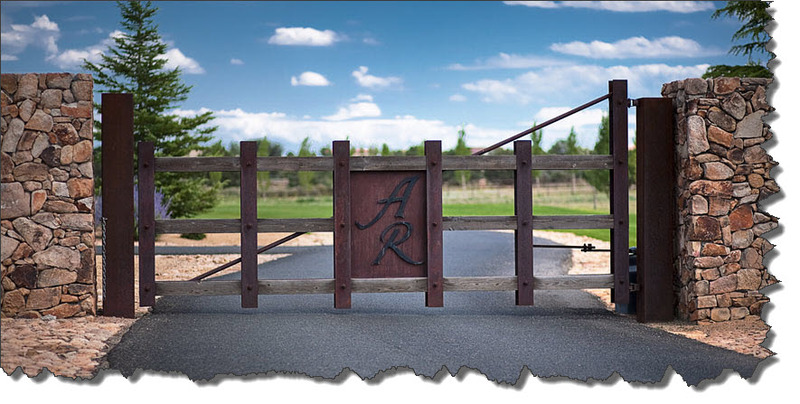 Located at the base of towering Granite Mountain, just off Williamson Valley Road and adjacent to the Prescott National Forest, is the amazing gated community of American Ranch! This coveted community offers bouldered Home sites ranging in size from 1 to 5+ acres with hiking and horseback riding trails, a Community Center, Equestrian center, fishing lake, playgrounds, tennis and sports courts, and swimming! Fore! Do you long for walking the greens all day long? Then follow us to the homes at Hassayampa Village, a private gated golf community perfectly situated on prime real estate in the forested hills overlooking Prescott. This spectacular golf community offers a Tom Weiskopf designed golf course, and truly majestic old European feel, rustic clubhouse. Also available are club memberships including tennis, swimming, spas, club bar, formal dining and delectable restaurant. Learn all about the fantastic neighborhoods within the Prescott, AZ community by callingJoe Karcie.